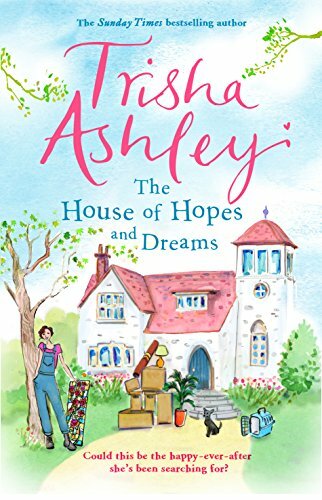 The perfect MOTHER'S DAY gift from the Sunday Times bestselling Trisha Ashley, this novel will more than satisfy romantic comedy fans. And it also contains recipes! When Carey Revell unexpectedly becomes the heir to Mossby, his family’s ancestral home, it’s rather a mixed blessing. The house is large but rundown and comes with a pair of resentful relatives who can’t be asked to leave. Review: I was very excited to read this new offering from the amazing storyteller, Trisha Ashley. I could hardly wait to get started on the book, and, once I had opened it, I was instantly immersed in the story. This is the tale of Angelique (Angel) Arrowsmith, a stained glass designer and restorer who has been in a long-term relationship with fellow artisan Julian, but finds herself facing an uncertain future upon his sudden death. Fortunately, her childhood friend, Carey Revell, comes to the rescue and asks her to help him restore the rundown mansion he has just unexpectedly inherited. The mansion is a rambling affair, with ancient and more modern parts, extensive grounds, secret passages and priest holes, talk of ghosts, and of course several stained glass windows in need of attention. Carey enlists an army of friends and a growing number of neighbours from the village to help in his project, while Angel is joined by stained glass workers from her old workshop. This is truly an epic and heart-warming tale, full of humour, intrigue and a cast of interesting and often zany characters that grows and grows with each page. At the beginning of the book, following Julian's death, Angel's plight is so well told that I actually found myself enraged by the injustice she experienced. However, this is balanced by later events in the story and support she gets from friends. The narrative from the present day is cleverly intertwined with an account of her life from an earlier inhabitant of the house, who lived there in the early 20th century. Her story adds nicely to the intrigue connected with the house's history. If you are a fan of Trisha Ashley's books, you may, like me, be excited to meet up in this story with some familiar faces from the village of Halfhidden, previously featured in her novel, Creature Comforts. Whether you are a fan or have never read any of Trisha's books before, I would heartily recommend this one; be warned though, you may find yourself unable to put it down.